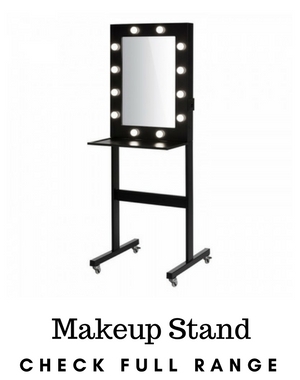 Professional Makeup Mirrors for sale. 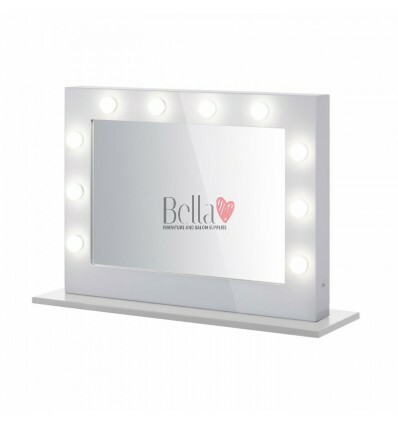 Diva Makeup Mirrors with bulbs. 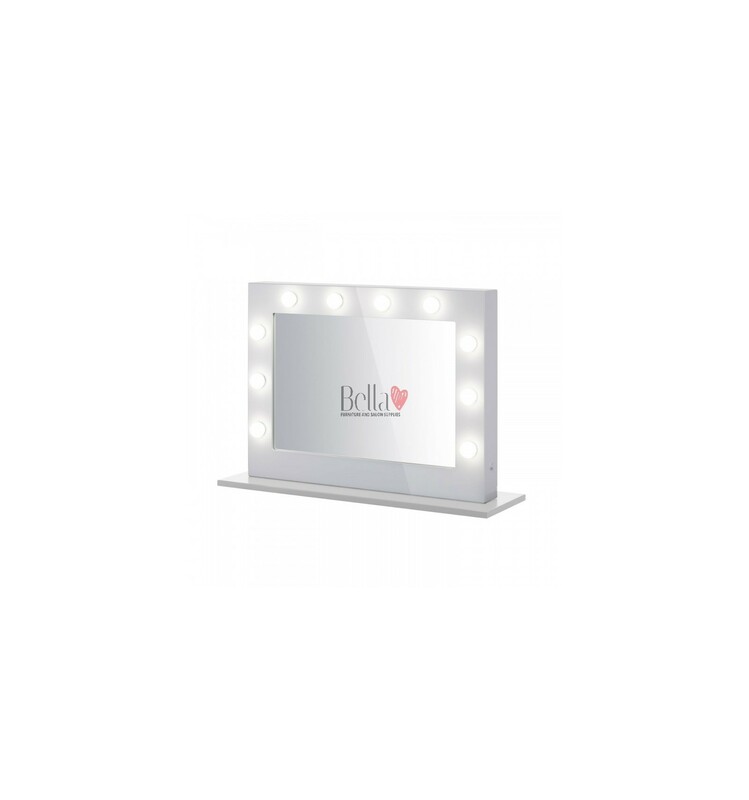 Professional makeup mirror in frame (60 x 80 cm) with lighting on three sides, horizontal orientation on a stable base, with wall mounting option, white frame. 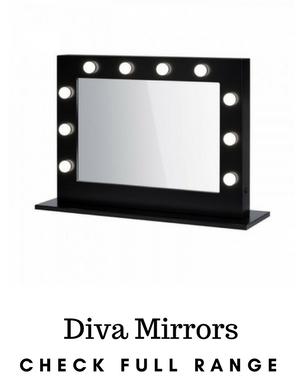 The Diva is an ideal makeup mirror. 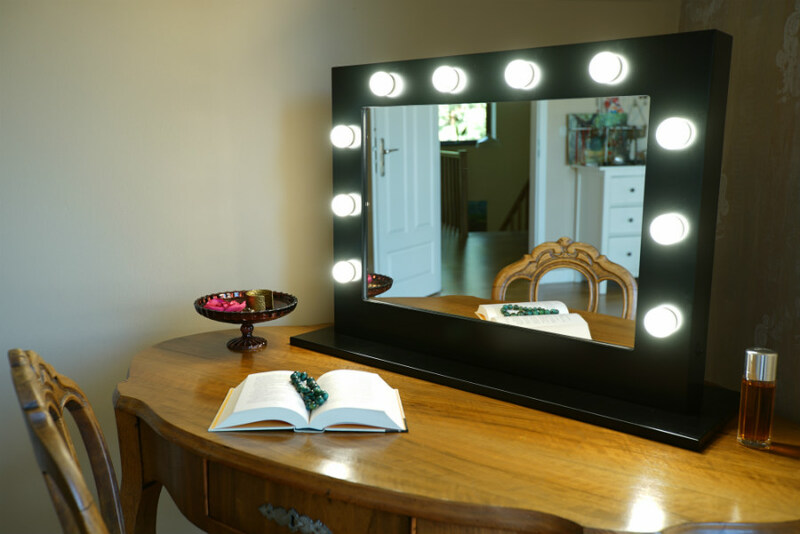 LED lights arranged on three sides of the mirror do not heat up, and light up the whole face evenly during application of makeup. 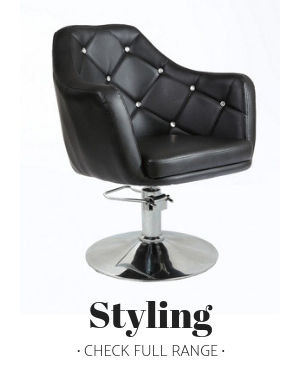 The light is not glaring, which provides comfort when working on that perfect look. 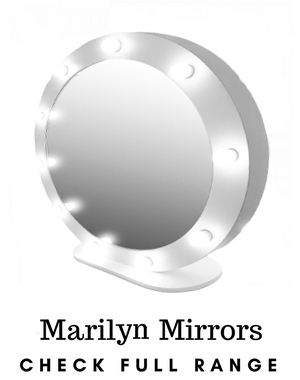 The Diva mirror dimensions are 60 x 80 cm. 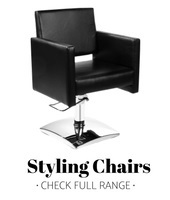 Available with a white or black frame. 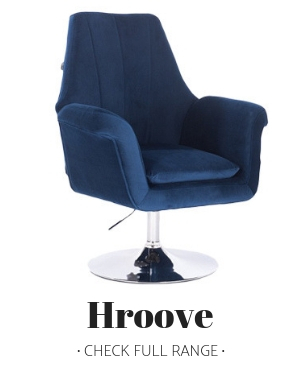 The designers of the Diva made every effort to provide the highest quality product. The light sockets are precisely made and provide an ideal fit for the lights. 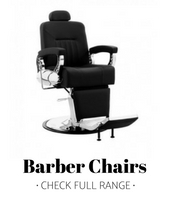 A carefully crafted, high gloss painted frame will look impressive in any room, and it is also scratch resistant. In addition, it is very easy to keep the frame clean. Any spilled powder or cream will not penetrate the glass structure, so the mirror will maintain its great look for many years. Thanks to a stable base and the back of the frame, made with great attention to detail, the mirror can be placed anywhere and look good. 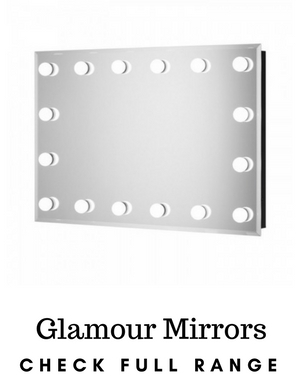 This mirror also has holders for hanging, and will take up even less space at a makeup stand when hung. There is a small on/off switch concealed in the mirror’s frame and a power cable is included. Neutral, i.e. daylight version will let you apply your makeup creations more precisely and appear natural, both indoors and in daylight. You will be able to see and correct even the smallest blemishes, because the neutral light color does not falsify colors; thus, your makeup will perfectly highlight your beauty in any light! Or Warm light color, which is ideal for applying evening makeup. 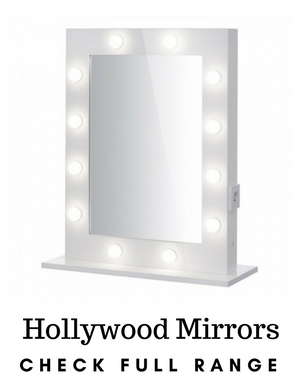 Our mirrors not only look wonderful but are also economical! Did you know that the 10 LED lights installed in the Divas‘s frame consume less energy than one standard bulb! LED lights also have a much longer life than standard bulbs, so the LED lights supplied with the mirror will last several years. 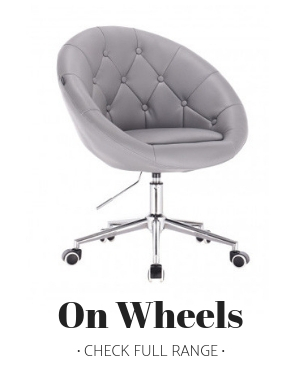 Moreover, they create almost no heat, which significantly improves your work comfort; makeup does not run, as it might do with warmer lighting. In our mirrors, we use perfectly clear, high quality glass with reduced iron content, which is not as green as ordinary colourless glass. 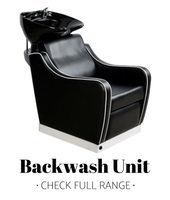 Owing to that, the mirror reflects colours properly and does not become discoloured over the years. 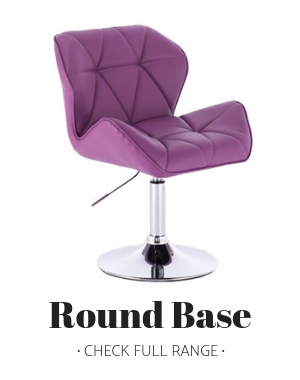 Thanks to the stand you can place the mirror in any location, or you can hang the mirror using the hooks on the rear. Lights stay cool; you can forget about runny makeup! The light is not glaring which provides comfort when working on that perfect makeup.